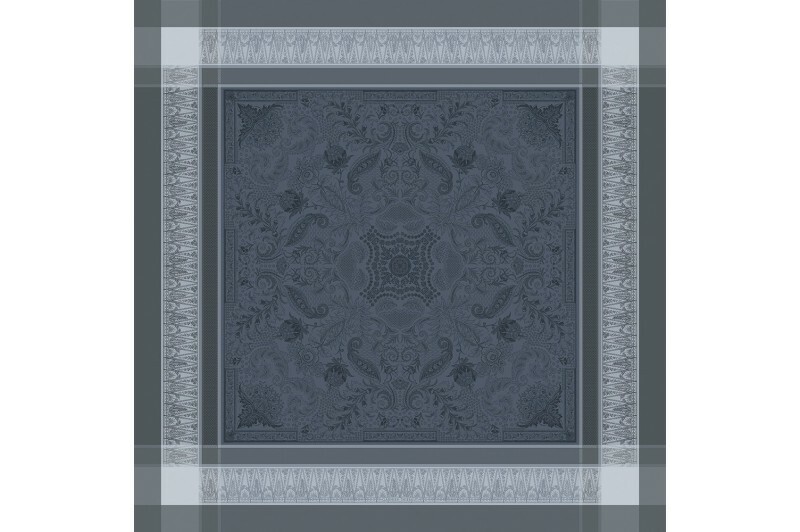 Oriental gardens at night, dreams in black, dark and light shades of greys. 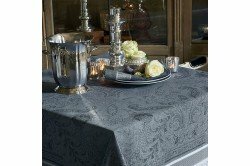 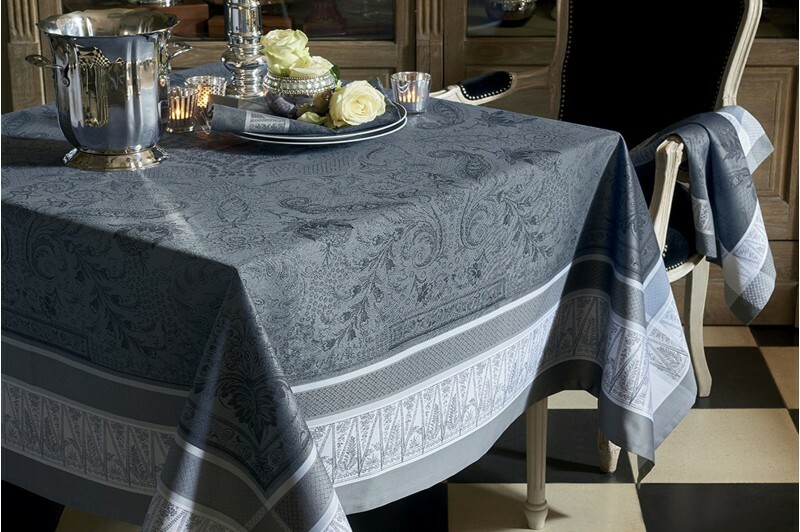 Persina black is a somptuous luxury tablecloth and table linen collection by Garnier-Thiebaut. Elegance for special or formal occasions! 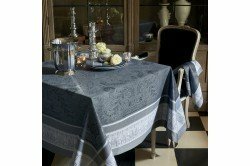 Finished with mitred corners, the Persina table linen Collection includes matching placemats, napkins and table runners to create your finest French table.